Location. 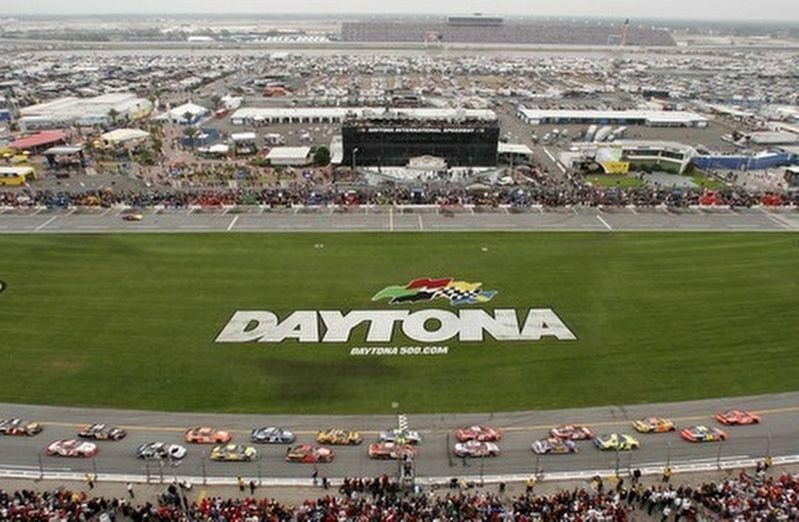 29° 11.516′ N, 81° 4.085′ W. Marker is in Daytona Beach, Florida, in Volusia County. 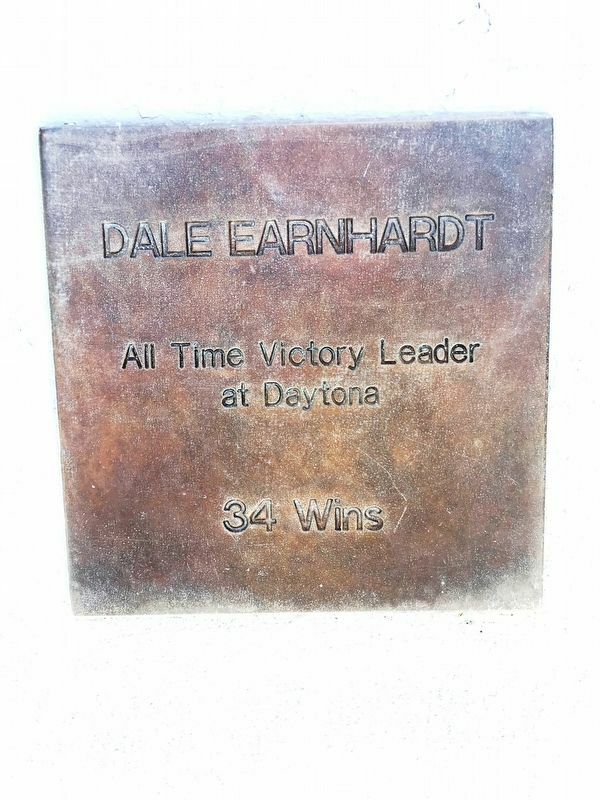 Marker can be reached from W International Speedway Blvd (State Road 92) 0.2 miles west of Bill France Blvd. Touch for map. 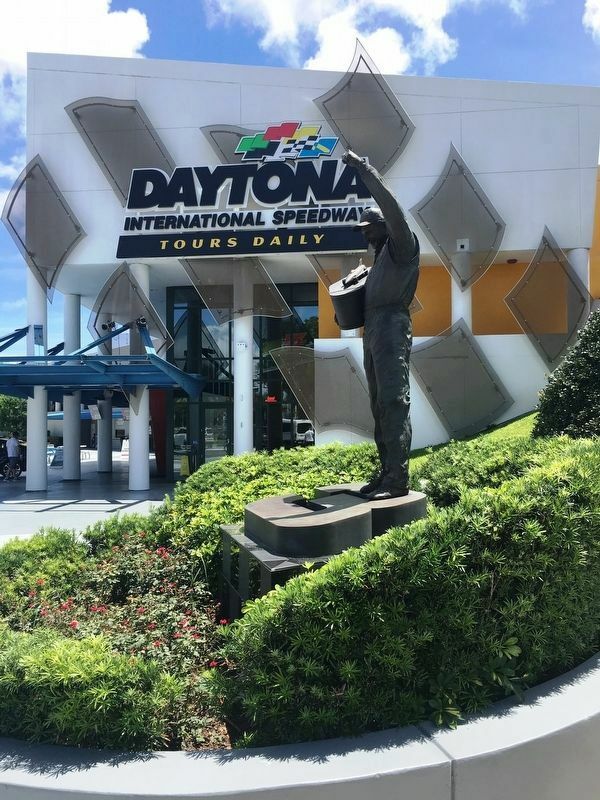 The marker is located at the Daytona International Speedway Motorsports Hall of Fame. Marker is at or near this postal address: 1835 W International Blvd, Daytona Beach FL 32114, United States of America. Touch for directions. 44th Running Daytona 500 (within shouting distance of this marker); 46th Running Daytona 500 (within shouting distance of this marker). 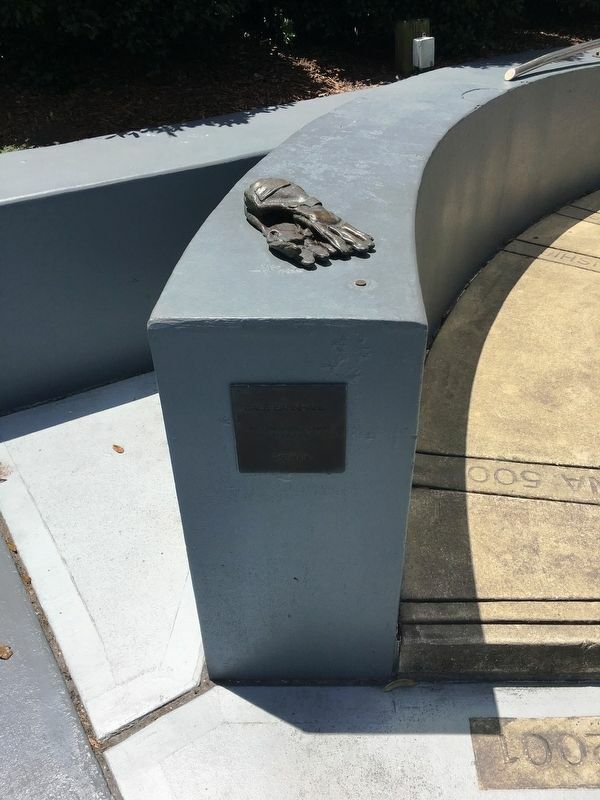 Touch for a list and map of all markers in Daytona Beach. Regarding Dale Earnhardt. 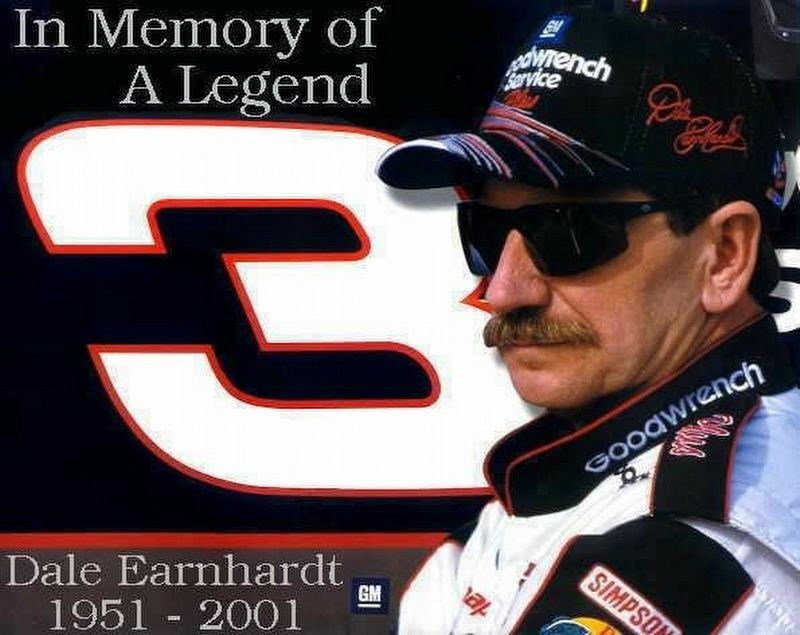 Wikipedia: Ralph Dale Earnhardt Sr. known professionally as Dale Earnhardt, was an American professional stock car racing driver and team owner, best known for his involvement in stock car racing for NASCAR. 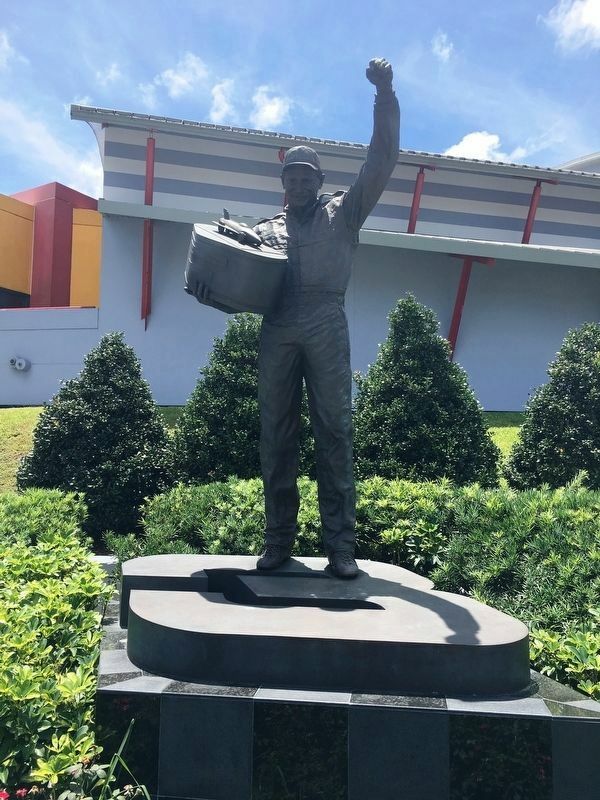 The third child of racing driver Ralph Earnhardt and first of two to Martha Coleman, he began his career in 1975 in the World 600 as part of the Winston Cup Series. Regarded as one of the most significant drivers in NASCAR history,Earnhardt won a total of 76 Winston Cup races over the course of his career, including the 1998 Daytona 500. He also earned seven NASCAR Winston Cup championships, tying for the most all-time with Richard Petty. This feat, accomplished in 1994, was not equaled again for 22 years until Jimmie Johnson in 2016. His aggressive driving style earned him the nickname "The Intimidator". lamented in the racing world. More. Search the internet for Dale Earnhardt. Credits. This page was last revised on August 14, 2017. This page originally submitted on August 11, 2017, by Brandon D Cross of Flagler Beach, Florida. This page has been viewed 124 times since then and 6 times this year. Last updated on August 14, 2017, by Brandon D Cross of Flagler Beach, Florida. Photos: 1, 2, 3, 4, 5, 6. submitted on August 11, 2017, by Brandon D Cross of Flagler Beach, Florida. • Bill Pfingsten was the editor who published this page.